The Nemesis Hellsmith has been updated! The five monsters, Apprentice, Hellsmith, Freezemotaur, Supremotaur, and Nemesis Hellsmith, have been polished, with GLDEFS and DECALDEF. 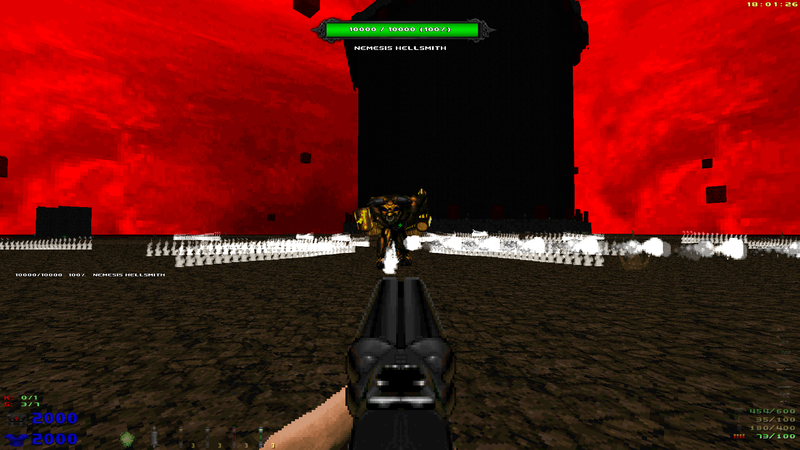 Also, we have added four weapons! The Flak Cannon is similar to the one in Unreal Tournament, and it is fun to use! The Stingray is very powerful, and its alt-fire spoils invulnerability, at the cost of having a very short range. The Big Lightning Gun (BLG) will quite a shock to your enemies! The Legendary Unmaker is reskinned to the Nemesis Unmaker in the CF patch, and it will give the monsters a bad day. I forgot to take screenshots of the new weapons. I'll return with those later. The base pk3 now requires LCA, so it will no longer work stand-alone nor with Complex Doom alone. For Clusterf**k (I still hate than name), you need the CF patch, with the required file load order listed in the WADINFO inside the patch. For True Clusterf**k, you need both the CF patch and the True CF patch, with the required file load order in the WADINFO in the TrueCF patch. The original release post is below. Hellsmith1 and I have made a new monster, the Nemesis Hellsmith. 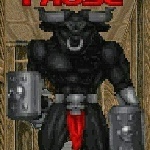 As a stand-alone, the pk3 adds 5 minotaur-themed monsters as random Cyberdemon replacements: the Apprentice of Hell, the Hellsmith, the Freezemotaur, the Supremotaur, and of course, the Nemesis Hellsmith himself. Included are 3 patch wads, but you only need to load one of them at a time. 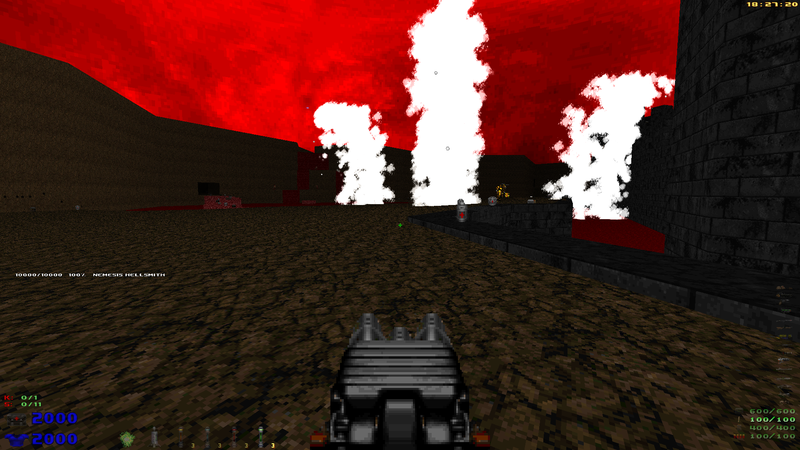 To add these monsters to Complex Doom, load the Nemesis Hellsmith pk3 after Complex Doom and the Complex patch last. The same goes for the LCA patch. The CF patch is more complicated to use because CF is complicated to load in the first place, but basically, you load Nemesis Hellsmith and the CF patch last. More detailed instructions are in the txt file for the CF patch. Last edited by Empyre on Wed Apr 17, 2019 4:49 am, edited 8 times in total. AcidGod on YouTube calls himself Hellsmith1 here, and he asked me to help him make the Nemesis Hellsmith. The preview video above is on his channel. Hello Blast88. How are you today? I just found out that the zip file did not have the main pk3 inside it. The link in the first post now points to a corrected zip file. I’m doing good. By the way, in case you didn’t know, I do happen to be Yusuf Dunphy. Yusuf Dunphy I'm the person who made the Freezemotaur character and he's in with the nemesis hellsmith files. Thank you Yusuf Dunphy I and enjoy your the new nemesis hellsmith. I’ll try out the Nemesis Hellsmith addon when I’m on a computer again. I have put the Nemesis Hellsmith on my server with CF and my maps. This combination will be on my server for 2 - 4 weeks. [quote=Blast88 I’ll try out the Nemesis Hellsmith addon when I’m on a computer again. I have fixed the protected lump error that was blocking people from joining my server. If you tried to connect and couldn't, try again. Acidgod is not my name on YouTube my name is Jon Armt/hellsmith1 on YouTube. 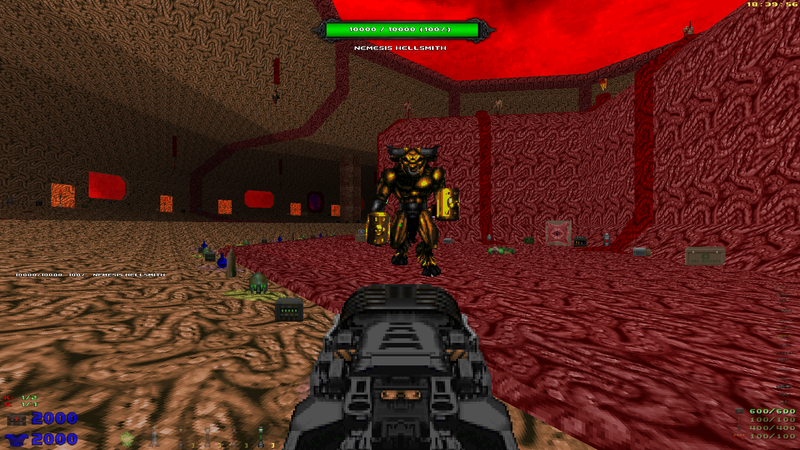 It would be nice to have a version for vanilla doom.
. Dark Ambient Music Pack.
. Doomed in Space Soundtrack. A more polished Nemesis Hellsmith appears! In version 002, some duplicate stuff is removed, GLDEFS and DECALDEF have been added, and best of all, there are now four weapons included!